(9225, A. J. Urbansky Collection, OHS). (14313, Oklahoma Historical Society Photograph Collection, OHS). 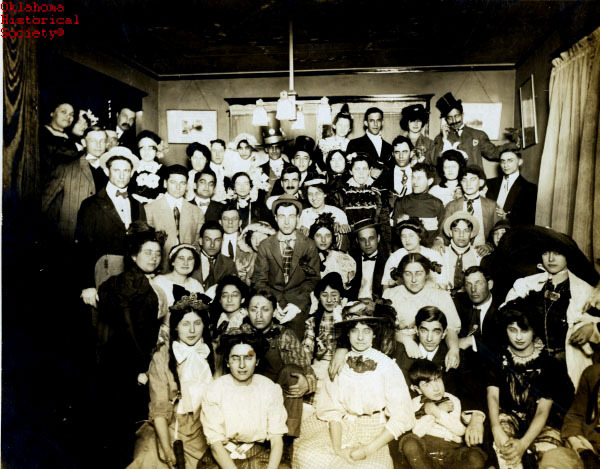 Jewish individuals and institutions have been part of the fabric of Oklahoma society and culture since territorial days, although the proportion of Jews in the state's population has always been far below the national average. Oklahoma's Jewish community shares many characteristics with other American Jewish communities, but unique aspects of Oklahoma history and life have influenced its development. Like the state itself, Oklahoma's Jewish population was an "instant community." In 1890 the estimated Jewish population of Oklahoma Territory was one hundred and at statehood about one thousand. It quintupled in the next decade and peaked at more than seventy-five hundred in the late 1920s. In 1890 the first Jewish congregation organized in Ardmore. Unlike many American regions, Oklahoma did not attract many Jewish immigrants directly; early settlers were likely to have resided elsewhere in the United States, often for considerable periods of time. Jews have been important on America's commercial frontier, and early Jewish settlers in Oklahoma were small-town merchants, such as the Sondheimers of Muskogee, the Levites of Apache, and the Daubes and Westheimers of Ardmore. After the 1920s Jewish numbers in small communities decreased with the towns' diminishing importance. Oklahoma Jews urbanized more rapidly than the rest of the state. In 1907 two-thirds of them lived in small towns. By 1930 a majority were urban dwellers, though only one-third of the total population was. By 1927 there were some 1,250 in Oklahoma City and 2,400 in Tulsa. This urban concentration is more typical of the American Jewish population generally. Urbanization helped stabilize the community and preserve identity by providing the resources for Jewish life. Many American Jewish communities experienced considerable social and religious tension between those whose families stemmed from the mid-nineteenth-century German migration and those from the late-nineteenth-century and early-twentieth-century Eastern European migration. In Oklahoma, as elsewhere, Jews of German origin were generally wealthier and more acculturated. However, because the creation of Oklahoma coincided with the massive Eastern European Jewish immigration (some 2.25 million between 1880 and 1924), both groups more or less simultaneously developed. 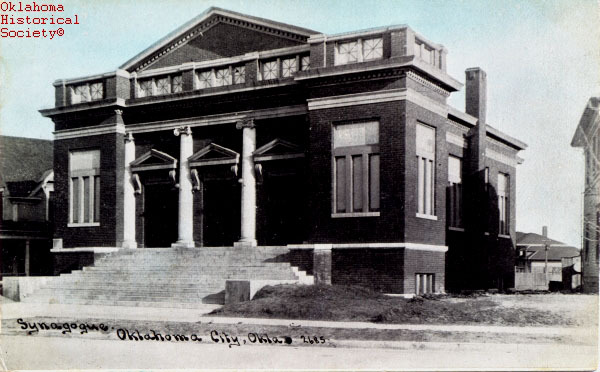 In Oklahoma City the time lag between the founding of the mostly German Reform congregation B'nai Israel and the mainly Eastern European Orthodox Emanuel Synagogue was only one year (1903 and 1904). In Tulsa there were only two years between the founding of Temple Israel (Reform) in 1914 and B'nai Emunah (Orthodox) in 1916. (In the mid-twentieth century both of these Orthodox congregations joined the modern traditionalist Conservative movement.) Other Jewish organizations, such as the fraternal order B'nai B'rith and the National Council of Jewish Women, were also active in Oklahoma. In Tulsa the Eastern European Orthodox dominated the community early through a substantial population and a high level of community organization. Yeshiva University in New York City, an Orthodox institution, would have died in its infancy without the financial intervention of a Tulsa family, the in-laws of Yeshiva's president, Rabbi Bernard Revel. The Eastern European Orthodox dominance also accounted for Tulsa's emergence as a center of Zionist activity, as opposed to Oklahoma City, where, before the establishment of the State of Israel, Jews were more divided on the matter. Some Jews, especially in the oil business, succeeded in the long-term in Oklahoma's historically boom-and-bust economy. However, many were primarily dependent on the commercial climate. When the state's population fell between 1930 and the mid-1950s, the Jewish population fell at twice the state's rate, declining to about 4,750 by 1955. This was a time when, despite restrictive immigration legislation, the American Jewish population as a whole was growing. Oklahoma's Jews increasingly concentrated in cities, with about 1,750 in Oklahoma City in 1955 and about 2,000 in Tulsa. Since reaching their nadir, both cities' Jewish populations have grown. The 2003 estimate for the state is 5,000, or 0.1 percent of the total state population; nationally, Jews average around 3 percent. In 2003 there were approximately 2,300 Jews in Oklahoma City and 2,600 in Tulsa. Both cities still have both Reform and Conservative congregations, as well as representation from the missionary Hasidic Orthodox movement Chabad (Lubavitch). Although in 1916 there were seven small-town congregations, at the beginning of the twenty-first century tiny congregations, affiliated with the Reform movement, remain only in Muskogee (twenty-two members), Ponca City (seventeen), and Seminole (fourteen). Synagogue affiliation in Oklahoma is higher than the national average, reflecting the limited options for Jewish identification and the general religiosity of the region. The wealth of the Tulsa community enables it to provide a wide range of Jewish options disproportionate to its numbers. There is a Jewish Community Council (JCC) hosting cultural and social events and a fitness center, a full-day elementary school, a retirement residence, and a museum of Jewish art. The Charles and Lynn Schusterman Family Foundation of Tulsa is prominent in philanthropy, supporting a wide range of Jewish projects locally, nationally, and abroad, including the Judaic Studies Program at the University of Oklahoma. It also supports some local general social services in Tulsa. Oklahoma Jews are above average on the socioeconomic scale, as they are generally in the United States. At the end of the twentieth century the professions have replaced business as the economic base of the community. Jewish Oklahomans have always been active in civic and cultural affairs. On average, Oklahoma Jews are more liberal politically than the rest of the state, though probably less so than most American Jews. Some Jews played important roles in Oklahoma's Civil Rights struggle. Generally, Oklahoma Jews' political involvement has been behind the scenes. 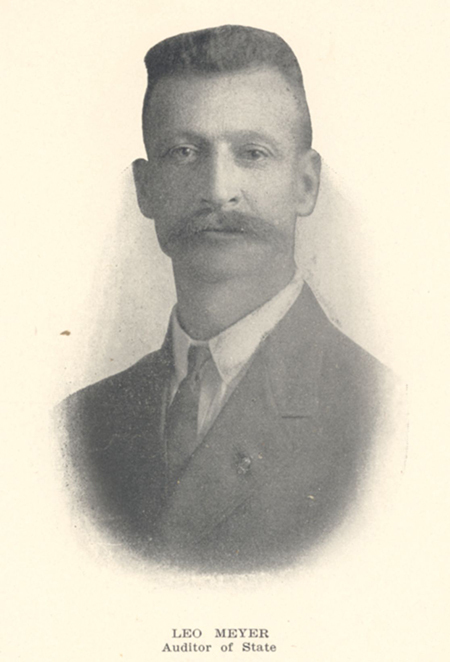 Until state treasurer Robert Butkin's first election in 1994, there had been no Jews in state elective office since Leo Meyer served from 1907 to 1913. Amy Hill Shevitz, "Past and Future: The Life of the Oklahoma Jewish Community," The Chronicles of Oklahoma 75 (Spring 1997). David Singer, ed., American Jewish Year Book 2003, Vol. 103 (New York: American Jewish Committee, 2004). Henry J. Tobias, The Jews in Oklahoma (Norman: University of Oklahoma Press, 1980). Amy Hill Shevitz, "Jews," The Encyclopedia of Oklahoma History and Culture, https://www.okhistory.org/publications/enc/entry.php?entry=JE009.